Installing Windows 8 on a VMware workstation v8.0.1 virtual machine. 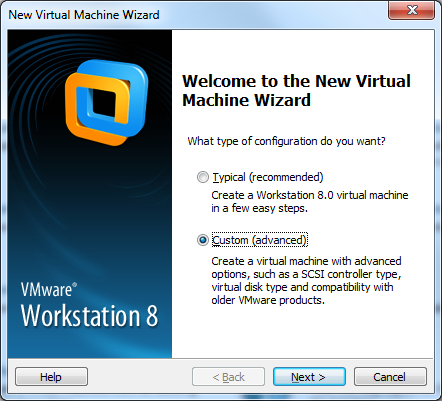 After using VirtualBox and VMWare workstation for running my Windows 8 virtual machines, I seems like VMWare workstation is the winner at this point in time for me. 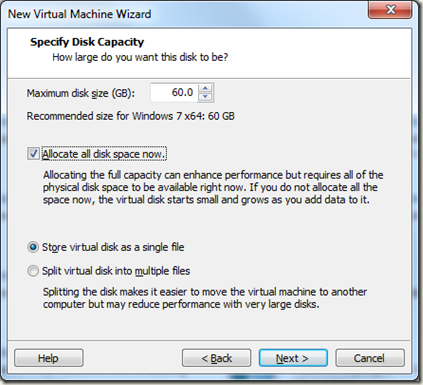 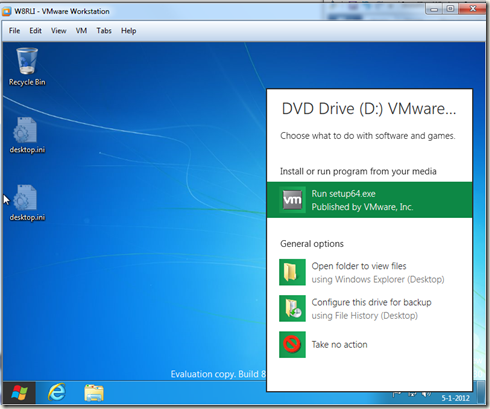 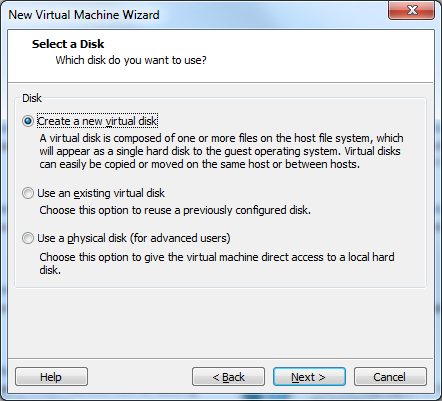 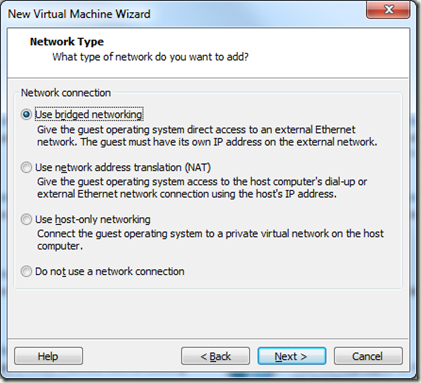 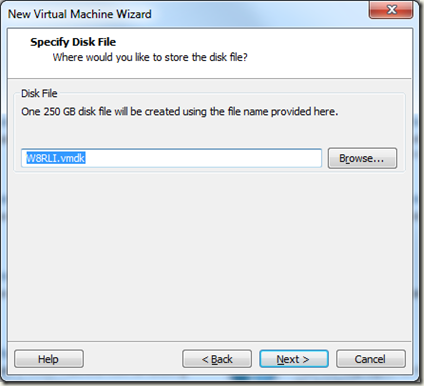 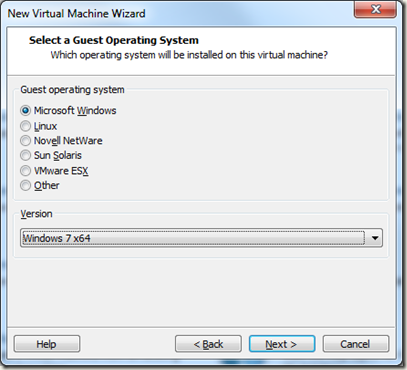 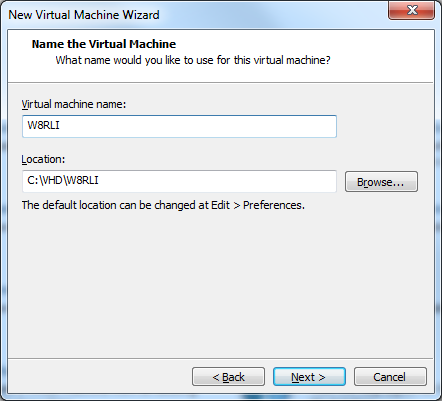 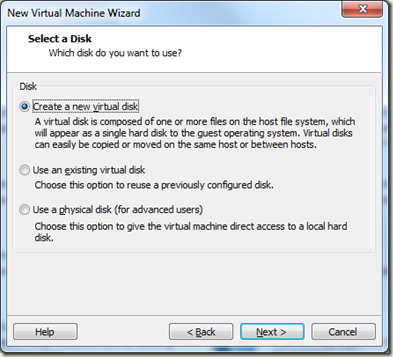 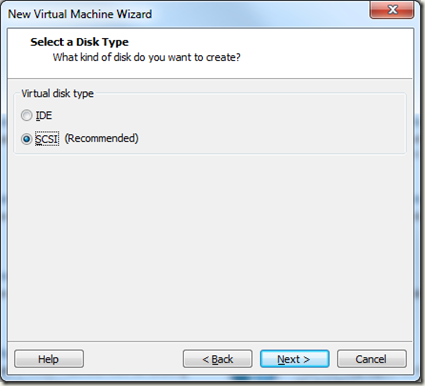 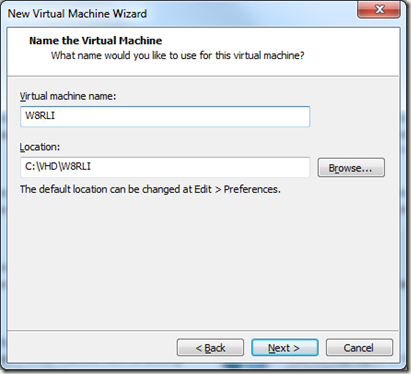 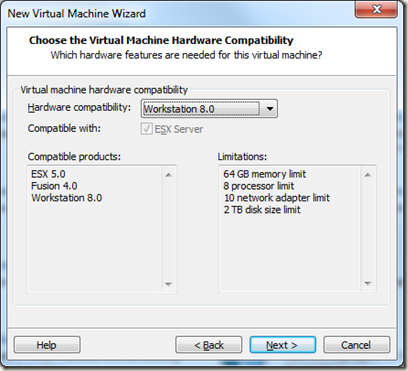 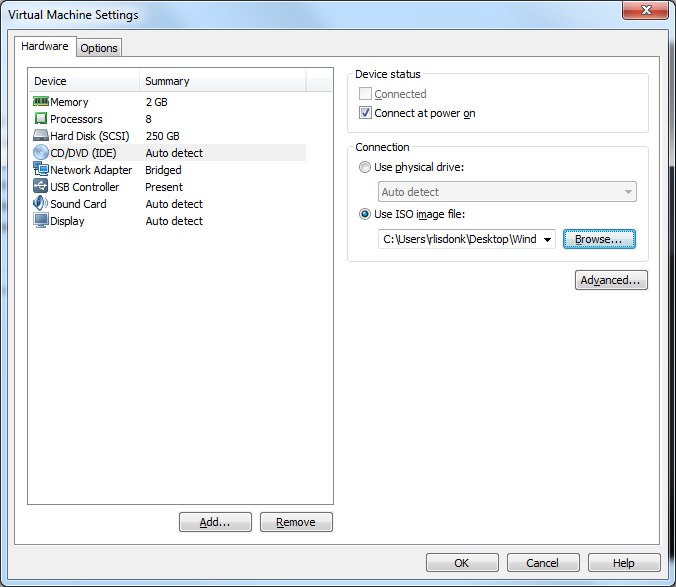 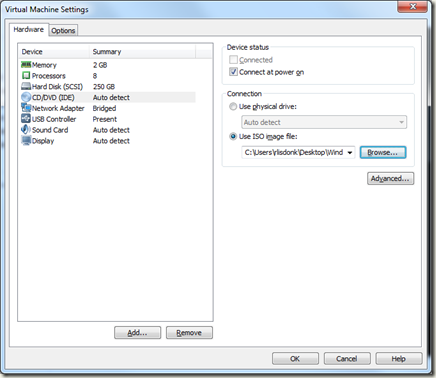 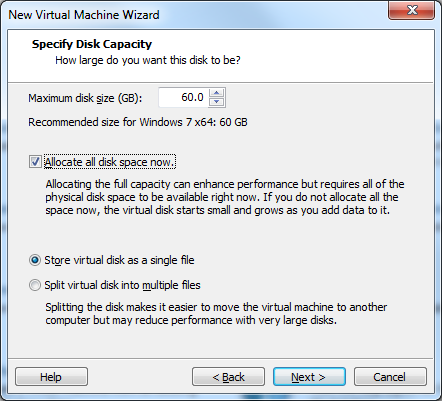 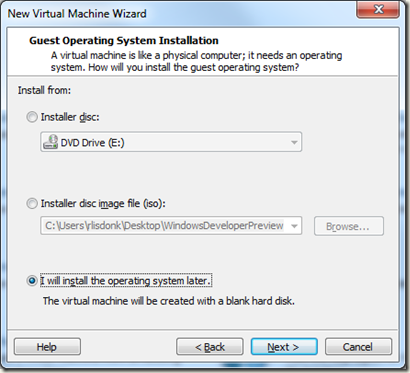 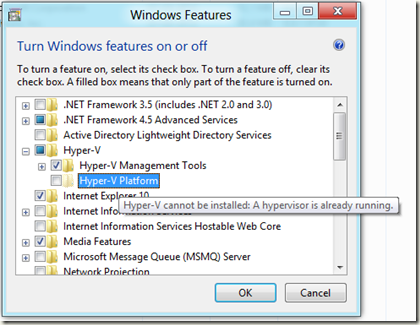 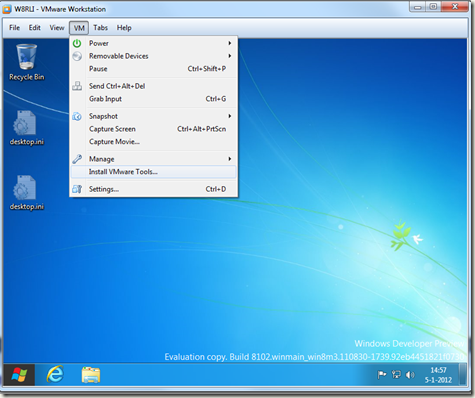 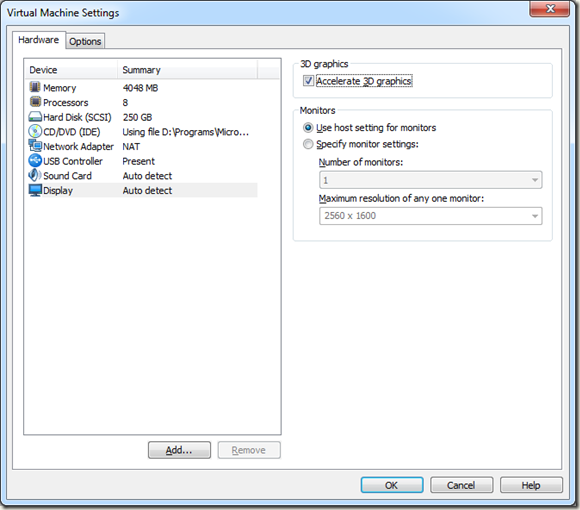 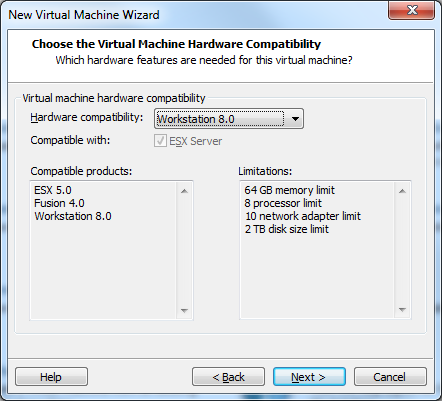 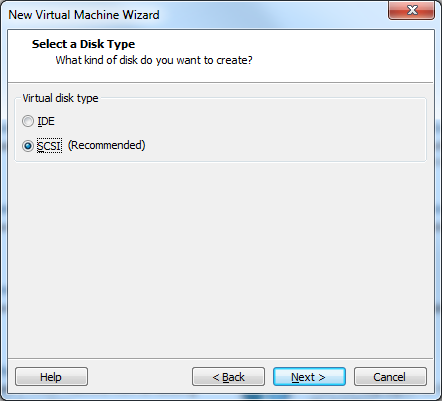 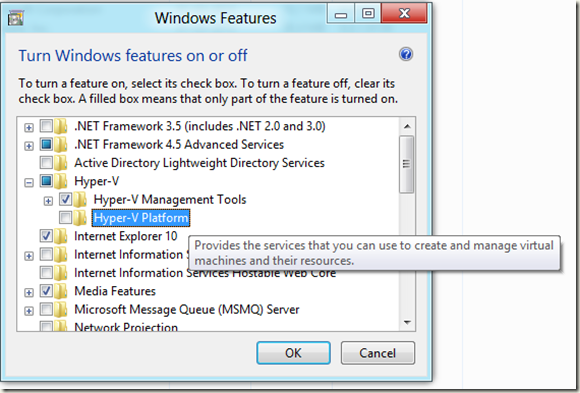 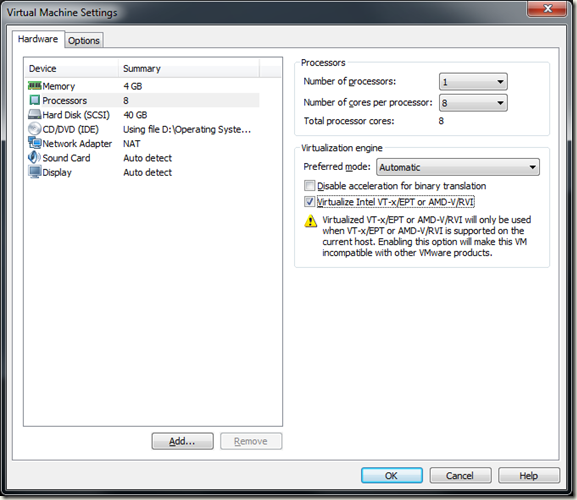 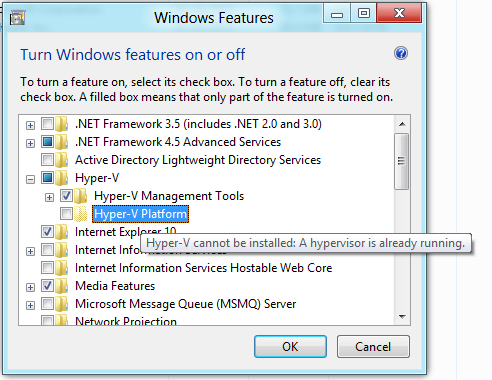 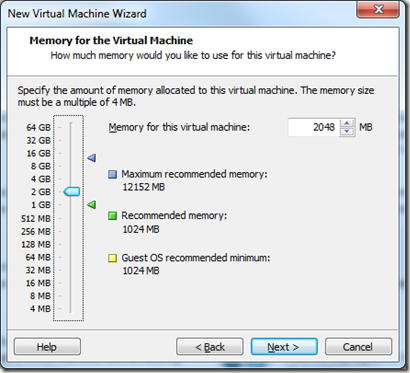 So here’s the installation guide for creating a Windows 8 VMWare workstation virtual machine. 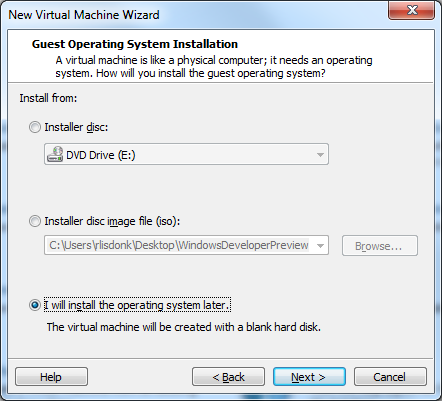 On previous installations of Windows, I would always format the disk during the installation process. 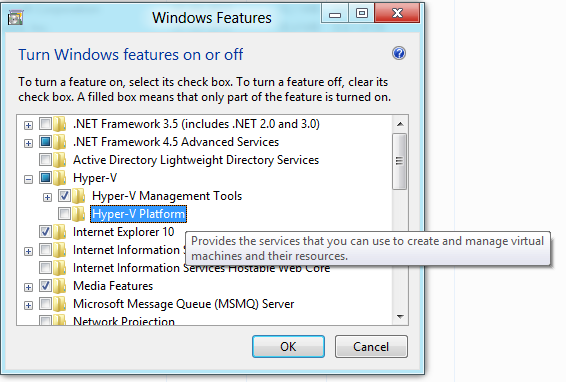 In this case I skipped the formatting and all worked well and I saved some minutes on my installation time, nice! 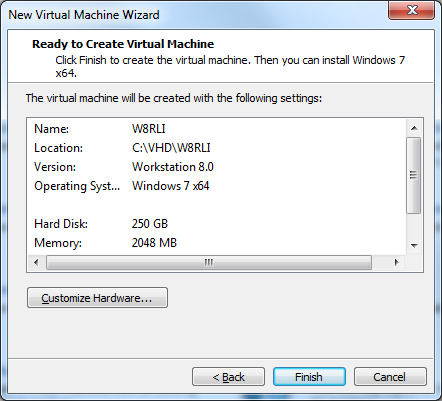 The whole installation process takes less then 10 minutes on a 8 core laptop with 16 GB RAM and SSD. 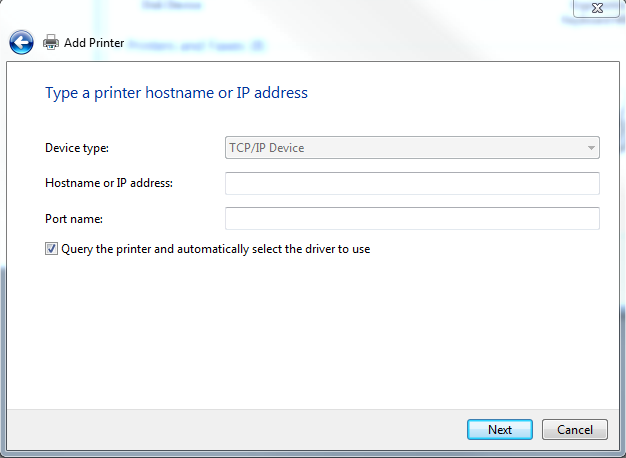 PS I used the [customize option] to use a LIVE id for signing in to Windows 8. Only normal en quick switch modus worked for me in VMWare 7, when using Microsoft Windows 2008 R2 as a guest OS. 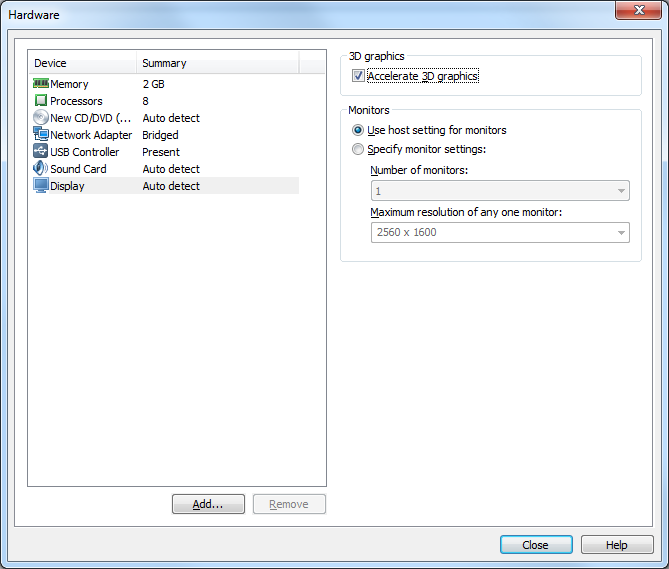 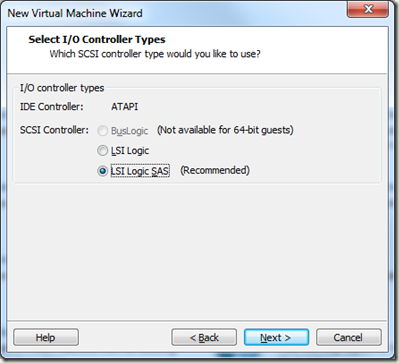 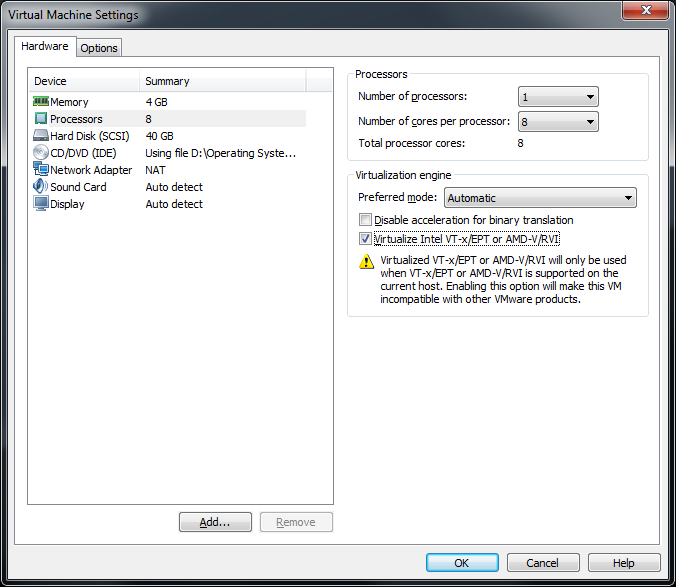 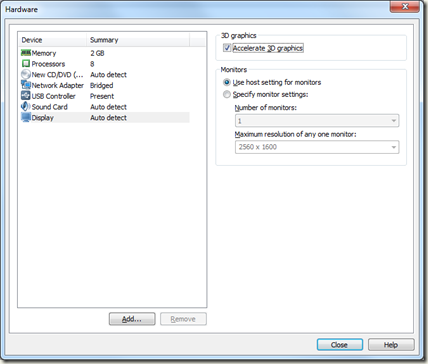 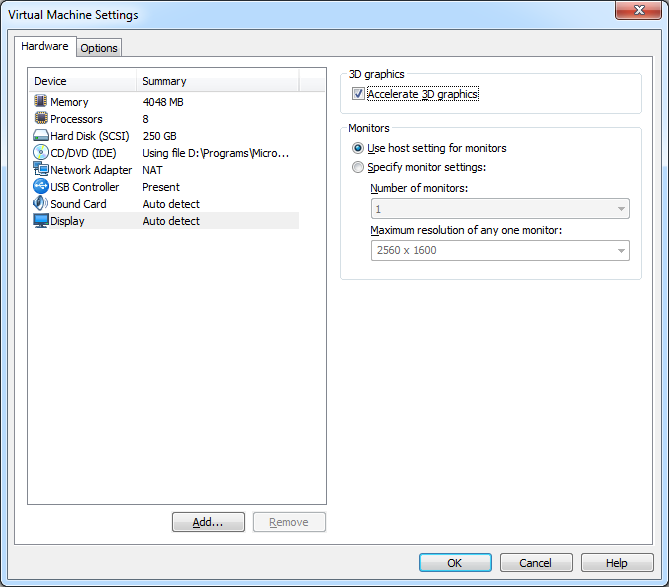 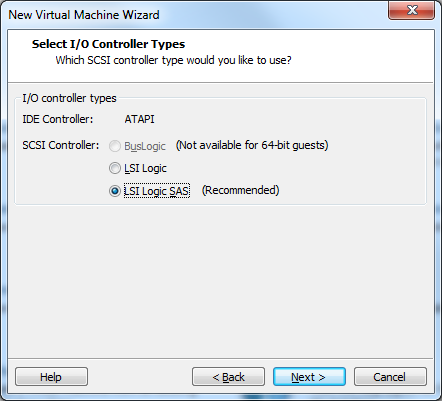 Enabling 3D acceleration on de virtual machine monitor solved this problem. 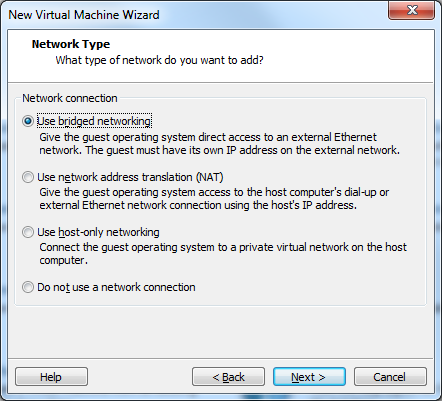 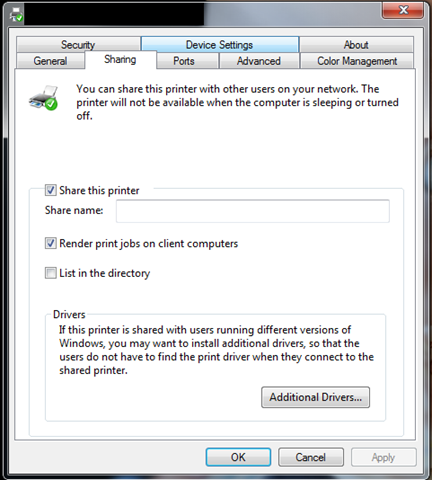 If you want to print from a VMware Workstation 7 image, which uses a NAT network connection. 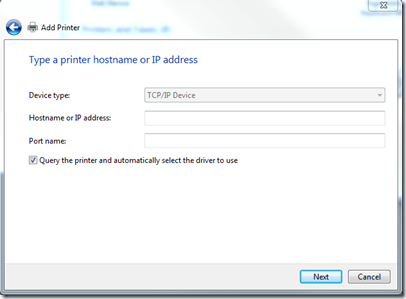 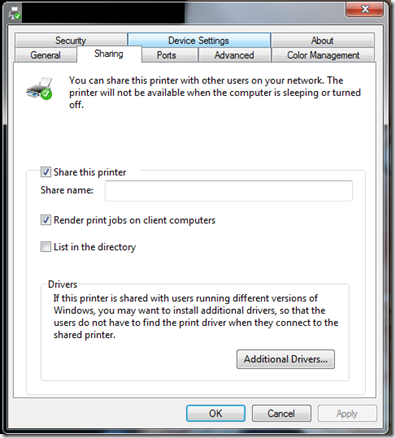 You can use the default Windows printer sharing. 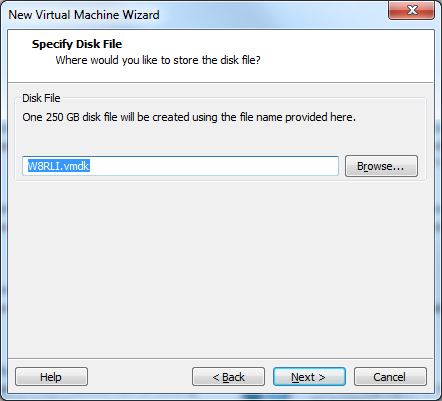 Adding diskLib.sparseMaxFileSizeCheck= "FALSE" in the *.vmx file solved the problem. 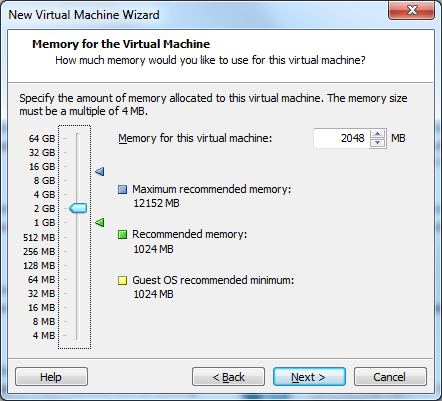 When you have a host system with variable CPU frequency (some powermanagement tools in bios will slow down you’re processor speed to save energy) you must set the right CPU frequency for VMWare quest systems.